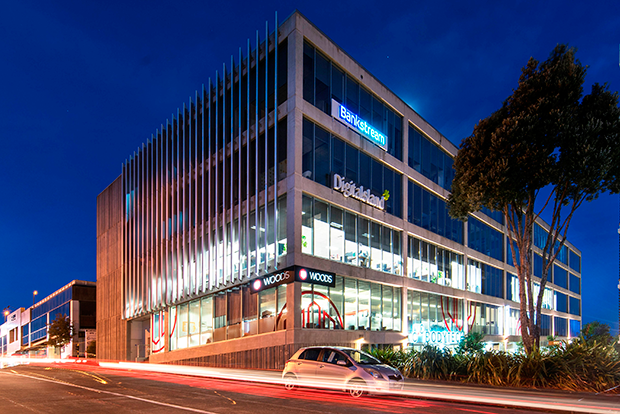 Auckland, 29 August 2015 - A modern commercial building, in a new master-planned, Mixed Use zoned precinct in Auckland’s city fringe suburb of Grafton, has been sold to New Zealand listed Argosy Property for $42 million, at an initial purchase yield of 7.08 per cent. The sale of 8 Nugent Street, Grafton, was completed by way of an open deadline, private-treaty campaign through Warren Hutt and Jonathan Ogg of CBRE along with Layne Harwood of Knight Frank. The building is part of a campus-styled development which includes an apartment complex and a planned office and showroom building..
“This is a good-quality A-grade property fully leased with 11 tenants, including blue-chip businesses Pfizer and Mobil Oil, and with a weighted average lease expiry of about five years. It fits perfectly with Argosy Property’s investment strategy,” Harwood says. Developed by one of Auckland’s best known property developers, The Neil Group, the Nugent St building has 7,623sqm of total net lettable area and was completed in 2009. It encompasses five levels of modern, naturally-lit office and showroom space, with three metre high-stud interiors and flexible, easy-divided floor plates. The building is on its own free-hold title and comes with 244 car parks. It has an A-plus seismic strength rating equating to 100 per cent of New Building Standard (NBS) and features quality fitouts and various sustainable features which contributed to its Four Green Star Design rating from the Green Building Council. Harwood, Knight Frank’s managing director of capital markets for New Zealand, says Argosy has several other properties in the same location and favours this metropolitan area of Auckland. Ogg says properties under $50 million are mostly purchased by New Zealand and Australian buyers. “Offshore buyers enter above $75 million in the main,” he says. According to Hutt, senior director of capital markets at CBRE, 8 Nugent St offers exceptional value for Argosy. 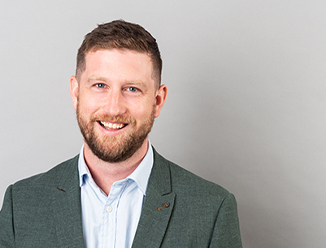 “This is an up and coming area and the relative lack of high-quality office investment opportunities in central Auckland and close to the city’s fringe, combined to create strong demand for the property,” he says.